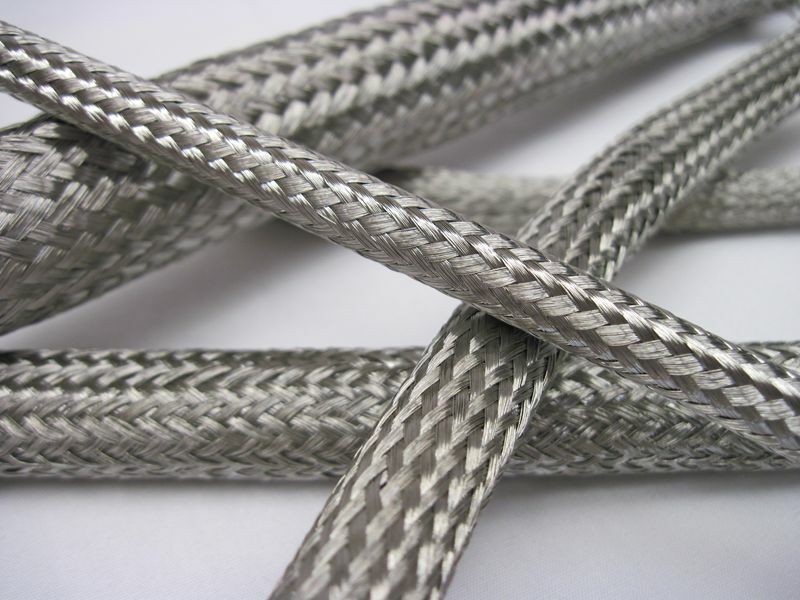 Co-NETIC® Braided Sleeving – Magnetic Shield Corp. The lower frequencies produce non-ionizing radiation, while the higher frequencies produce ionizing radiation. As a result, high frequencies are more likely to cause problems and interfere with sensitive devices, while low frequencies are more likely to cause health problem concerns for individuals. Some examples of sensitive devices that may require EMF protection at high frequencies include communication devices such as cell phones, security systems, wireless Internet, radios, baby monitors, televisions and computers. Devices for wireless communication are particularly at risk. At low frequencies, sensitive devices such as plug-in devices, pendants, power lines, building wiring and tabletop products will most require EMF protection. A few examples of health problems that research has shown to be connected to low frequency EMF exposure include childhood leukemia, adult cancer, chronic pain, fatigue, nausea and headaches. The two different frequency levels of EMF act in distinct ways. High frequency EMF behave in much the same way as light beams, in that they do not bend but reflect off of surfaces instead. At these frequencies, typically above 300kHZ, electric fields and magnetic fields cease to be separate entities and become combined to form electromagnetic fields. Low frequency EMF, on the other hand, behaves quite differently. At these frequencies, which are below 300kHZ, the electric fields and the magnetic fields remain separate. Instead of acting like light beams, these frequencies behave much more live sound waves. That is, like sound waves these frequencies will bend around corners and quickly become distorted when reflected. As a result, these frequencies are much easier to block than high frequency EMF because they typically travel straight from the source to the closest ground. There are many different methods in which the harmful effects of both of these types of EMF can be prevented. Some typically EMF protection products include shields, filters, gaskets and enclosures. One of the most common materials used to make these products is Mu Metal, which is a nickel-iron alloy that is 77% nickel, 15% iron and a small amount of both copper and molybdenum. Alternate materials include Molybdenum permalloy, Sendut, Hipernom, polyurethane foam, epoxy resin and supermalloy. EMF Protection EMF protection systems are utilities that protect people and sensitive equipment from potential hazards posed by the electromotive forces generated by some varieties of electronic devices. EMF protection requires the use of magnetic shielding materials or products to absorb or redirect electromagnetic fields (EMF) from interfering with sensitive devices as well as contact with people. Also referred to as electromotive force, EMF describes electromagnetic fields that are vibrating at frequencies ranging from close to 0Hz to THz, or almost no movement to trillions of times per second and even higher speeds.